Year after year I am drawn to this place. There is such a quiet peace to sit amongst the flowers and the trees. 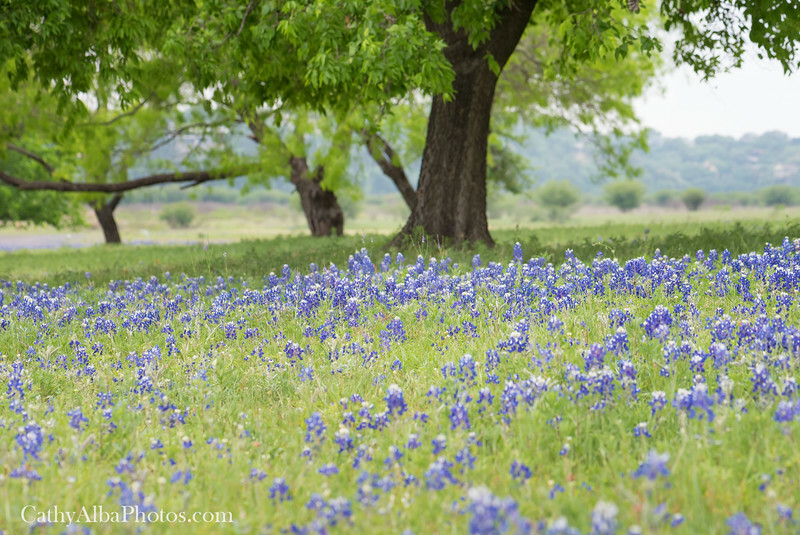 I used a very narrow depth of field on this shot blurring the foreground and the trees and left a strip of focus on the bluebonnets using a macro lens.